Unmanned Aerial Vehicles (UAVs) equipped with video cameras are a flexible support to ensure civil and military safety and security. In this thesis, a video processing chain is presented for moving object detection in aerial video surveillance. A Track-Before-Detect (TBD) algorithm is applied to detect motion that is independent of the camera motion. 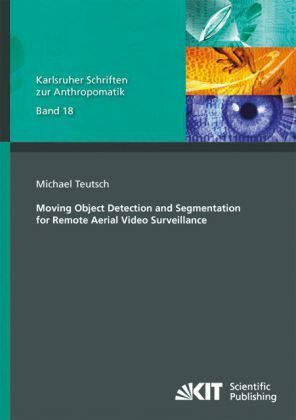 Novel robust and fast object detection and segmentation approaches improve the baseline TBD and outperform current state-of-the-art methods.